Following Theresa May's shock general election announcement, the UK political landscape looks set to change dramatically. Will predictions of a Tory landslide come to pass, or will the pollsters be surprised again? 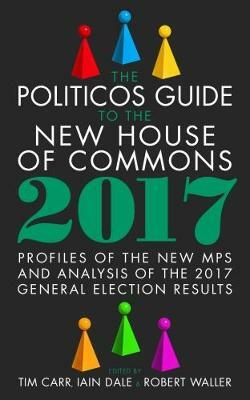 Whatever the result, the latest edition of the bestselling Politicos Guide to the New House of Commons will have all the info.Public affairs consultant Tim Carr and political experts Iain Dale and Robert Waller are rolling up their sleeves to put together a complete guide to the new personalities occupying the House of Commons benches in 2017.Who are they, what's their background and where will they lead the country?